SKU: I8-S0UF-9Q9H. 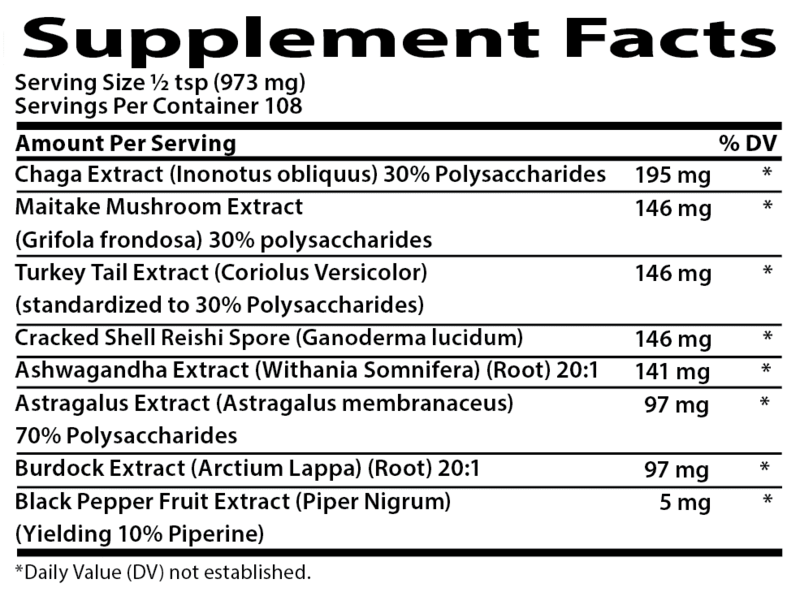 Categories: Adrenal Support, Antioxidant, Athletic Boost, Brain Support, Detox Support, Digestion, Energy Boost, Extracts, Immune Support, Longevity, Men's Health, Skin & Hair Support, Stress Relief, Thyroid, Women's Health. Tags: adaptogenic, allergies, anti bacterial, anti-cancer, anti-fungal, Anti-inflammatory, Anti-viral, Antiviral, Asthma, autoimmunity, balanced immune system, blood pressure, boost energy, boost vitality, cancer, cold, Crohn's Disease, flu, free radical damage, HBP, heart disease, heart health, high blood pressure, hypertension, immune booster, immune related conditions, immune system, immunity, infection, low immunity, stress, stroke, thyroid health. 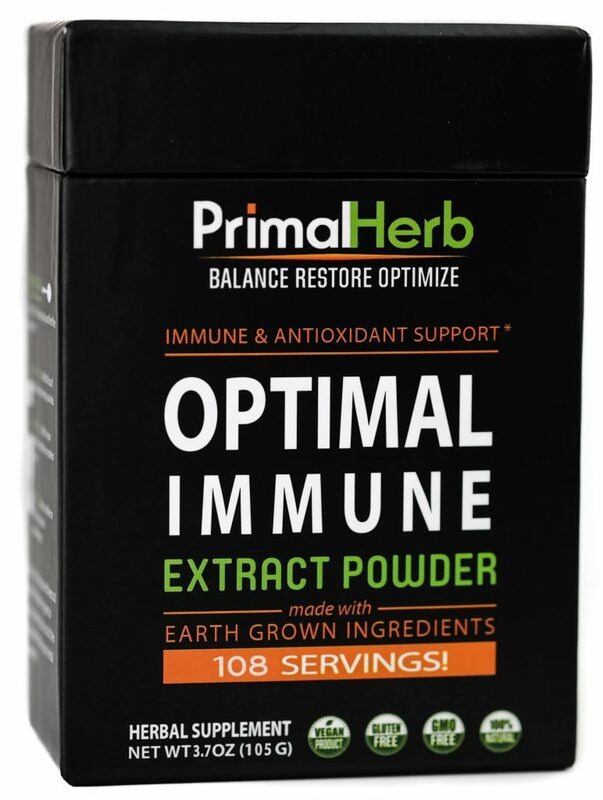 Balanced Immune Support – No Matter How You Mix It! I recently was diagnosed with Polymyalgia, sort of an arthritis condition and super painful. I’m doing everything I can to boost my immunity. I add a 1/2 scoop to my morning lemon water…delish! Increased energy for sure. 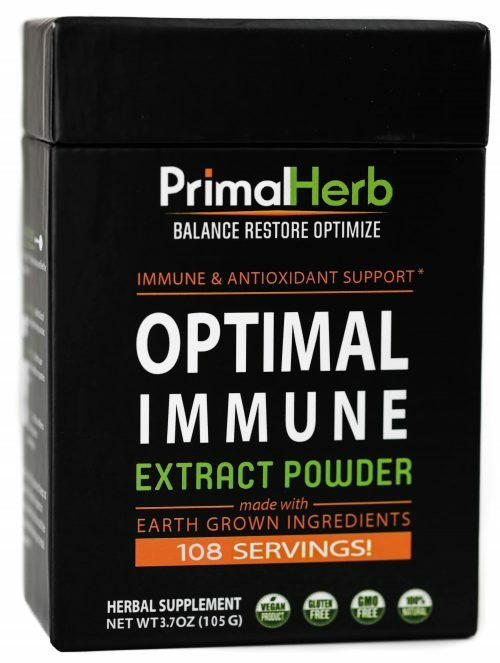 Effective, All Natural Immune Support – Plus a 1 Year Money Back Guarantee! If there was any one thing that could be focused on to improve health in the most far-reaching way, what would it be? What aspect of health is the best to focus on holistically? Healers, herbalists, and even doctors today will likely say the immune system is one of the most powerful yet overlooked dimensions in the bigger picture of health. And yet, in mainstream health or even at physicals and doctor’s checkups, the immune system is persistently overlooked. The immune system may be the best target for improving health in the most holistic and effective way possible over the long-term. “Holistic” refers to a health modality that doesn’t just target single symptoms, problems, or disorders. It also aims at fixing, treating, or supporting the underlying cause, which is sometimes overlooked, deemed unimportant, or is unperceivable to mainstream medicines. As it turns out, weak immune systems can be the hidden cause for a huge list of health issues. Even subtle health challenges like weakness, frequent illness, chronic fatigue, brain fog, and stress burnout can be due to an imbalanced or weak immune system. Chronic inflammation issues, too, may point to immunity as the culprit. But even more significantly, various conditions may be linked to weak immunity or inflammation, which is ultimately caused by or connected to problematic immune systems. Autoimmunity is an obvious issue, though people may not realize that allergies, high blood pressure, and even type 2 diabetes may eventually occur due to poor immunity. 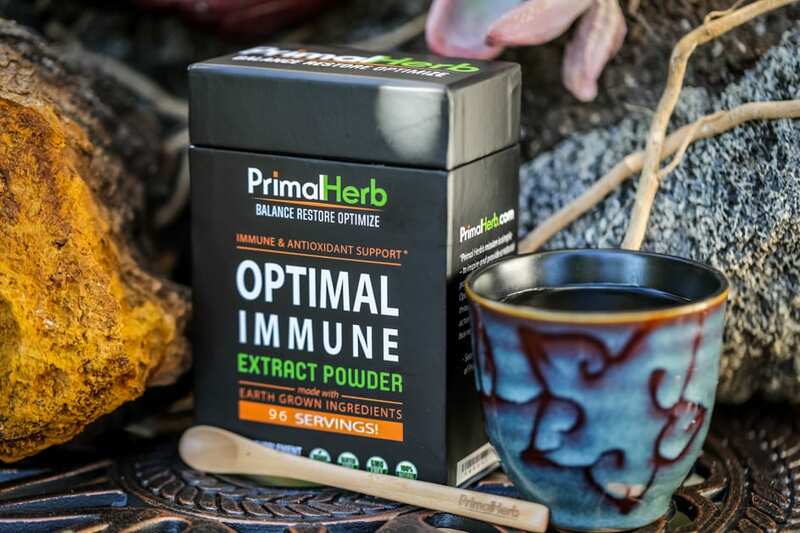 Do everything possible to promote balanced immunity and protect overall wellness by choosing Optimal Immune, in addition to following an immunity-supporting diet and lifestyle. Not many people realize that there is one underlying aspect of health that relates to all of Wellness: The Immune System. We tend not to draw that important connection between immunity and wellness issues as often as we should, especially in the modern day-to-day. Still, it’s one of the most important aspects that impact our health and plays a bigger role than we think. But what exactly is the immune system to begin with? It is much like other systems in our body, such as the nervous, cardiovascular, and skeletal systems. It’s made up of our lymphatic systems, white blood cells, leukocytes, even our livers and much more. Its purpose? To work hard to protect us from illness, weakness, and compromised function. It’s much like a source of reserves in our body – when reserves are strong, we handle health issues much better, and with greater vitality and energy. However, when it Weakens – or, on the other hand, becomes Overactive – then we start experiencing those ever-so-familiar symptoms of wear, tear, and fatigue. 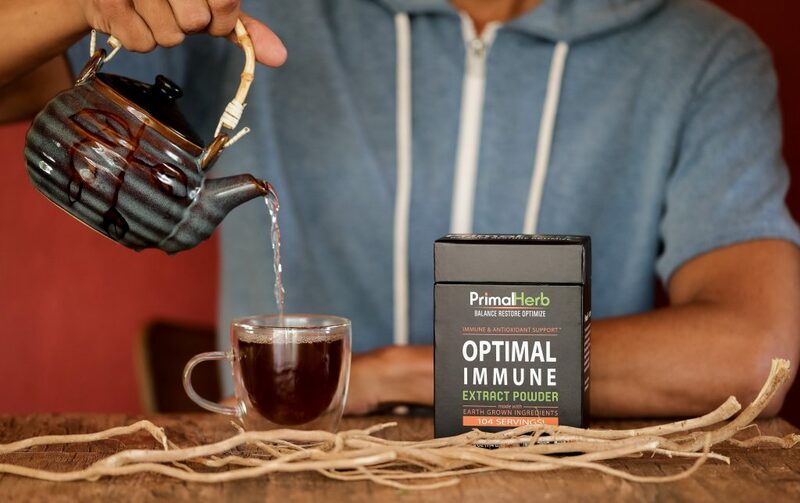 This is when we need to call on the power of more immune-specific, concentrated herbs, botanicals, and ingredients to get our immune systems back on track. Dealing with a wide variety of troubling symptoms, low energy, and struggles with overall wellness? Focusing on immunity first and foremost can be a great start to finding relief and getting that energy back. Very often immunity is the root cause of these symptoms and may demand more care than the actual symptoms themselves – though in treating the immune system, these symptoms may fade away. WHAT HAPPENS IF I STRENGTHEN MY IMMUNE SYSTEM? In most cases, your immune system becomes “underactive” in the face of certain unhealthy obstacles. Your reserves start to drain, and your shield weakens and wears thin. The result: weakness, more colds and illnesses, low energy, and fatigue. Thinking of immunity simply as a reserve – or, a protective shield – makes it sound like an uncomplicated system in our bodies, more or less. While that is certainly true, that couldn’t be further from the complete truth – Immunity is far more complicated than that! Overactive immunity is the other side of poor immune health, and it is often quite misunderstood. Rather than picturing it as depleted reserves or a shield wearing thin, imagine it more like your trusted bodyguard: someone who is sworn to protect you. But instead of just protecting you as it should by attacking invaders, it also attacks you and hurts you! An overactive immune system is not weak, like an underactive one. It is in fact very powerful and healthy, doing what it’s supposed to do – in some ways. The only fallback: it’s so out of control that it attacks your own healthy tissues too, not just the antigens, infections, and other factors it is designed to. You don’t want to simply Boost Immunity. You want to Balance It, and that’s where Optimal Immune can be your ally in this approach. Optimal Immune can be taken day or night – with or without food, so enjoy! I have Several Auto Immune Issues. Lupus, Fibromyalgia & RA. I’m Always Tired & after being up for a few hours, I’m tired. This Helps My Immune System Work Better. I’m Less Tired & haven’t had an imbalance since I started taking this. I put 1 teaspoon in a smoothie drink daily. I’m Eager to Buy More & Try Other Products. It definitely booms the energy,I love it.